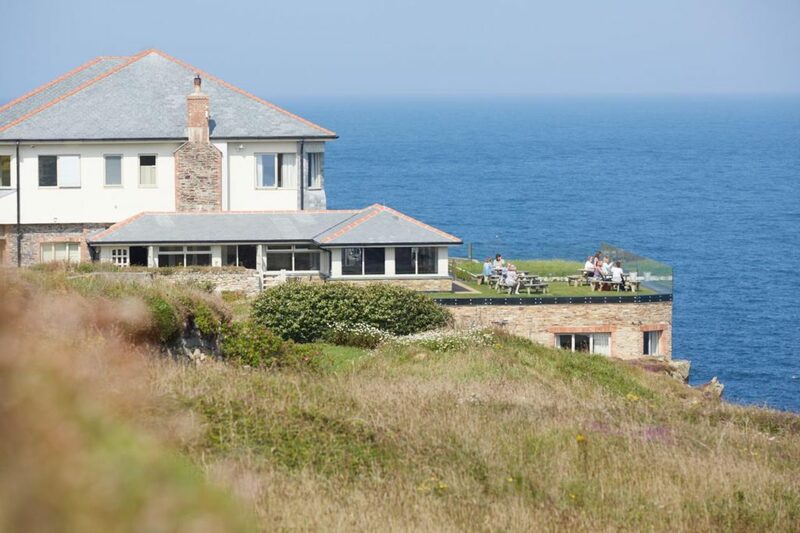 Once a single-story restaurant, today Lewinnick Lodge is a thriving boutique hotel attractively perched on the north Cornish coast. 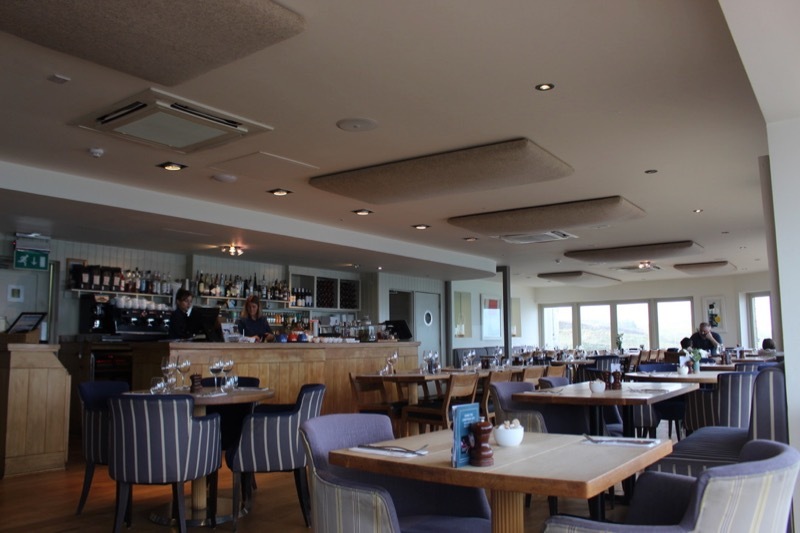 A £1m investment a few years ago saw extra rooms added under the grassy terrace, a stone’s throw from the Atlantic. The effect, as we were about to find out, is mesmerising. Nestled on the rocky edge of the Pentire Headland, it’s hard to believe the hustle and bustle of Newquay is just a mile or so away. 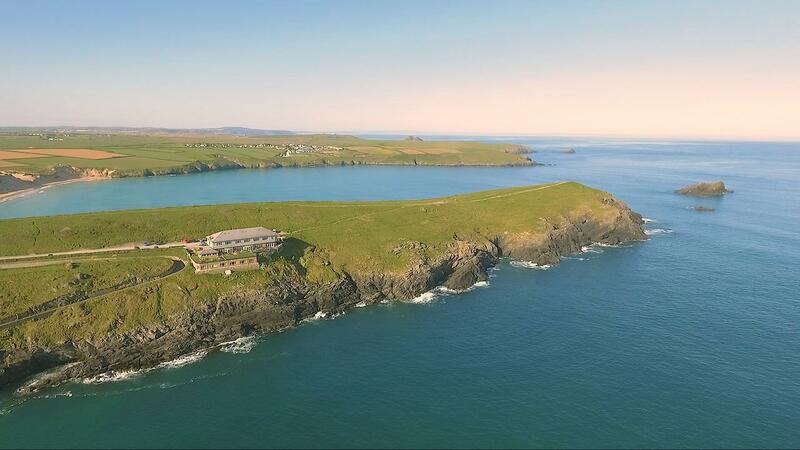 It’s true – while Lewinnick Lodge has the vibe of an off the beaten track hidden gem, it’s as convenient a Cornish location as they come: around 2 miles from the train station, 8 miles from Newquay airport and just 10 miles off the A30 if you’re driving. 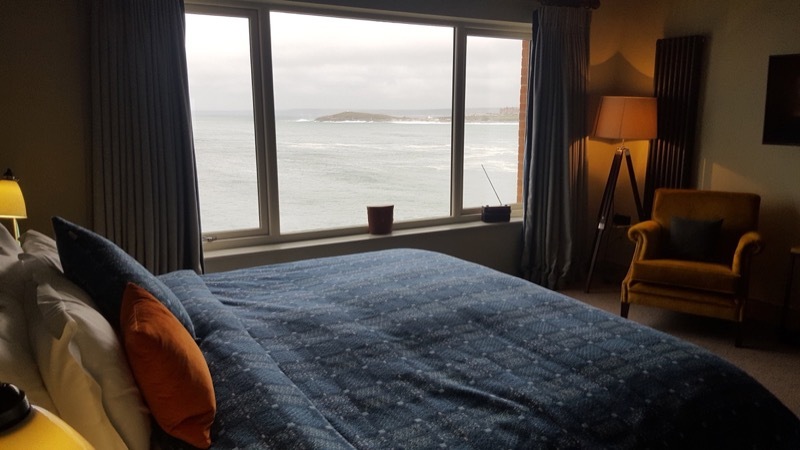 It also means if you’re staying for a while there is no shortage of activities to keep you busy; from surfing at the world-renowned Fistral beach, exploring Newquay’s burgeoning food scene or hiking the coast path. 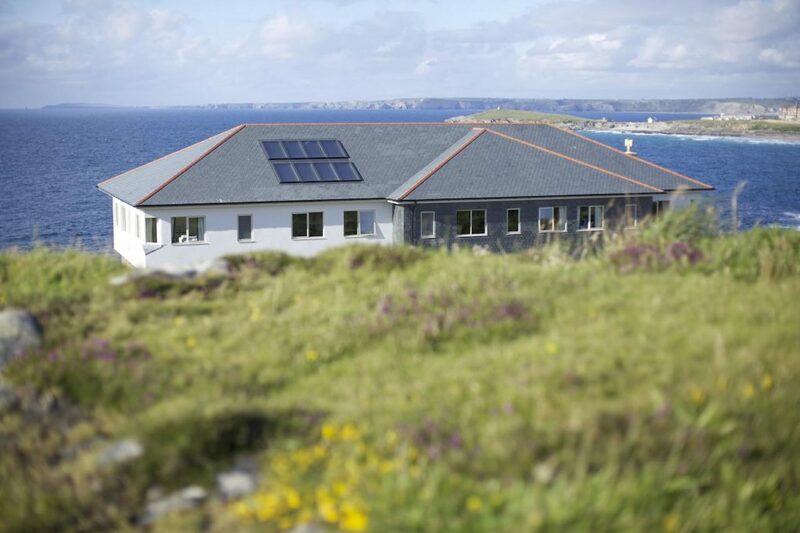 And Lewinnick Lodge would make for a fine, not to mention luxurious base, for all your Cornish adventures. 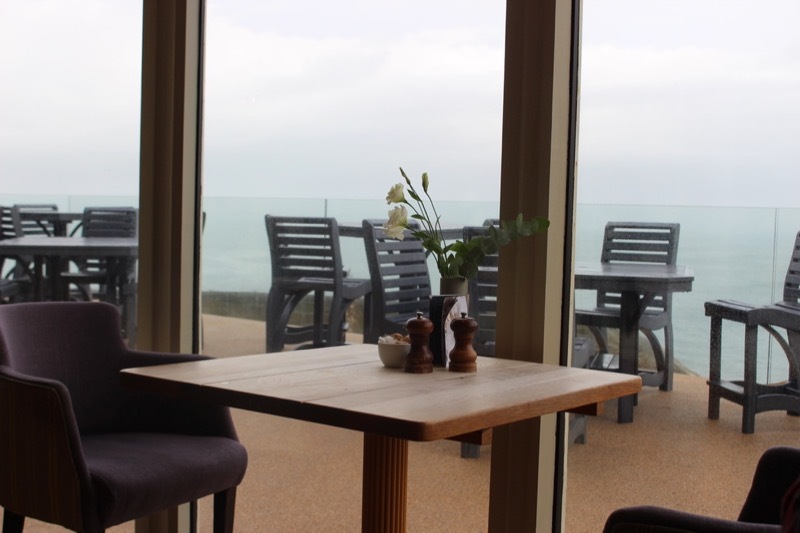 We walked into the hotel reception via the restaurant area and were immediately enamoured by a stunning view out to sea. The buzz of the bar melted as the door closed and the friendly receptionist checked us in with ease. She handed us our key and showed us to our room. This friendly, professional welcome was exactly how the rest of the stay unfolded. I’ve never stayed in a room with such a total and captivating view of the sea. Walking into the room – and being instantly drawn to the huge floor to ceiling window – felt something akin to entering a cruise ship. Except I can’t imagine many cruise ships boast such spacious bedrooms. 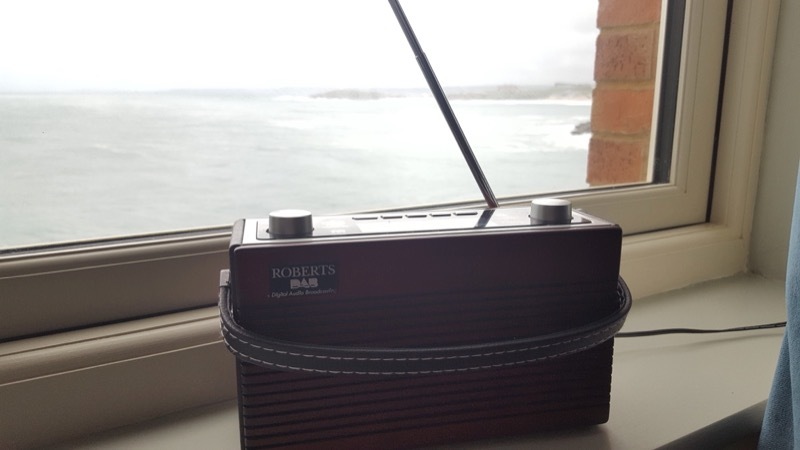 At the window I realised Classic FM was quietly playing, which only added to the drama of the Atlantic Ocean outside being whipped into a fury by a furious winter wind. When I managed to unglue myself from the window, I was delighted to find a spacious, modern room decked out with all the trappings of luxurious accommodation and more. 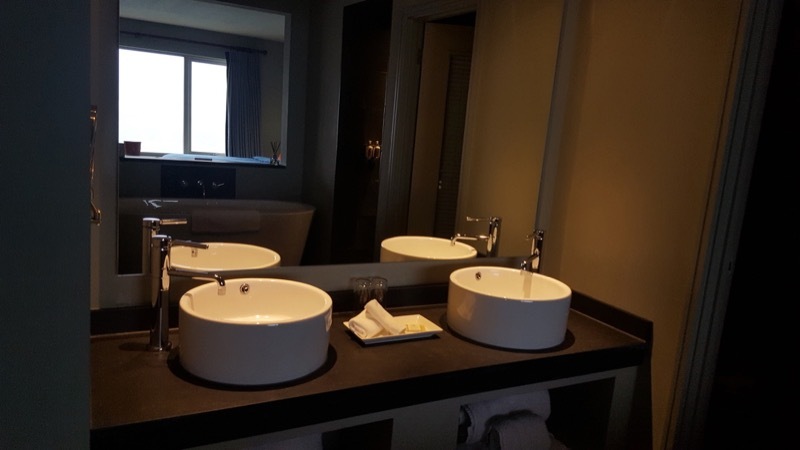 From the binoculars on the window ledge, to the double sink set-up in the bathroom, it was clear this room had been designed with attention to detail and then some. After walking through the chic navy hallway, the room was a pastel breath of fresh air that seemed to echo the coastal surroundings without look trite. 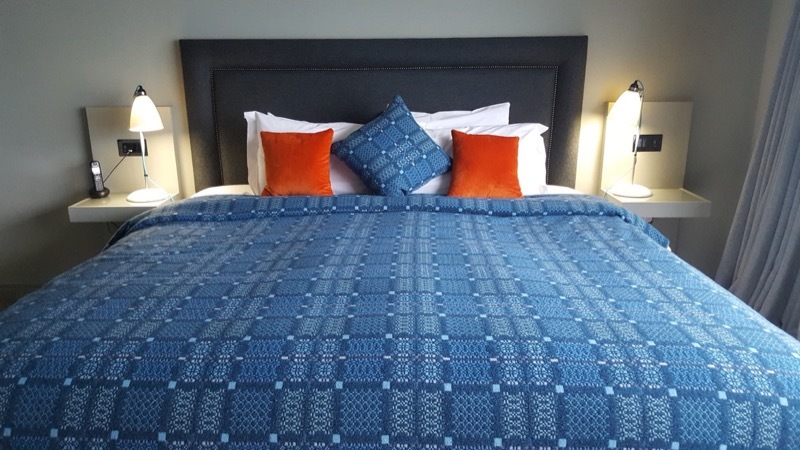 The bed was at once huge and cosy; with its decadent woollen throw and plentiful pillows it proved the perfect place to wake-up with a coffee. 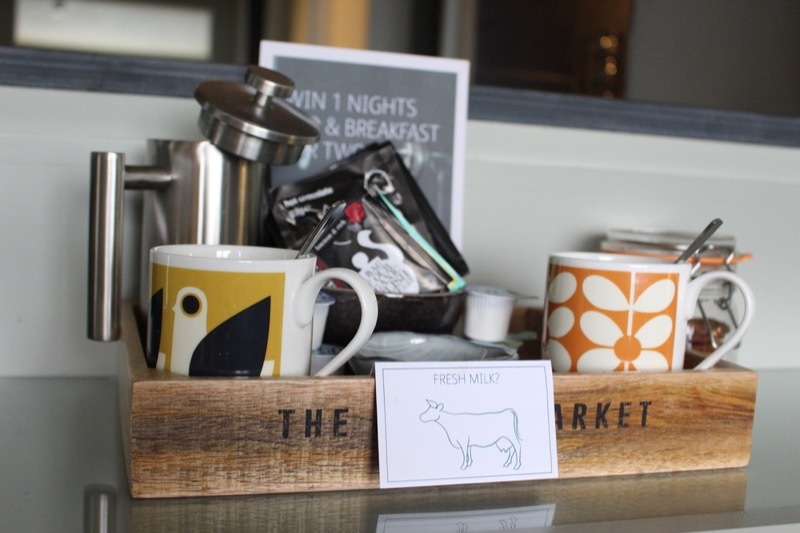 The rest of the room was decked out with just as much style and consideration; a pair of expertly mismatched armchairs, tea and coffee making facilities, an excellent DAB radio. Everything felt thoroughly thought through. 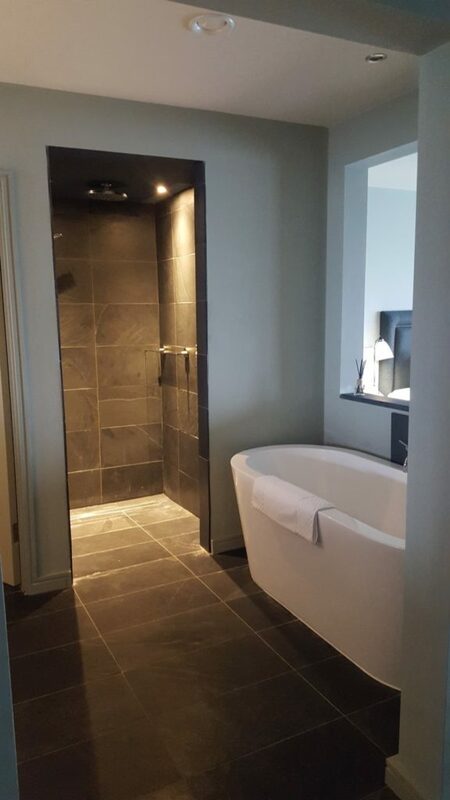 The en suite benefitted from a walk-in shower, double-ended bath tub and a wonderful reflection of the sea in the mirror. 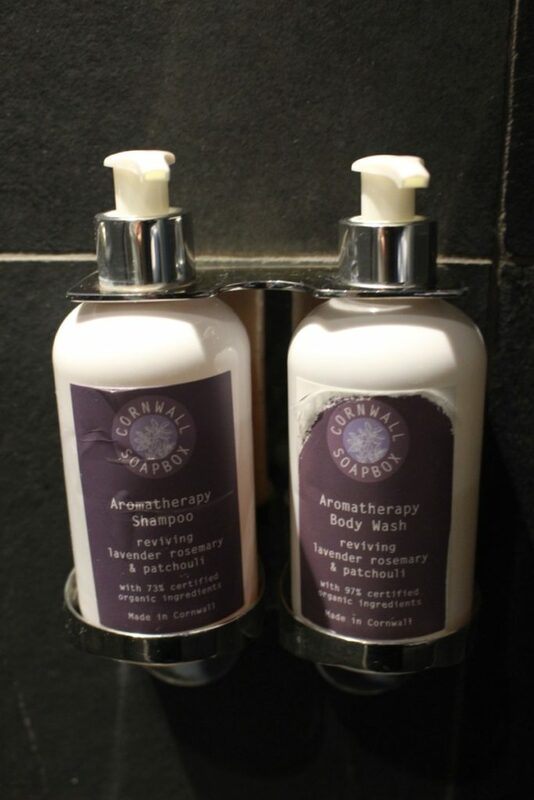 The Cornish Soapbox toiletries were also delight to use and the heavenly scent of the lavender body wash clung to my skin in the best kind of way. A modern bar complete with sport-playing TVs, snooker tables and a roaring fire was the perfect place to hang out with a drink before heading into the main restaurant. 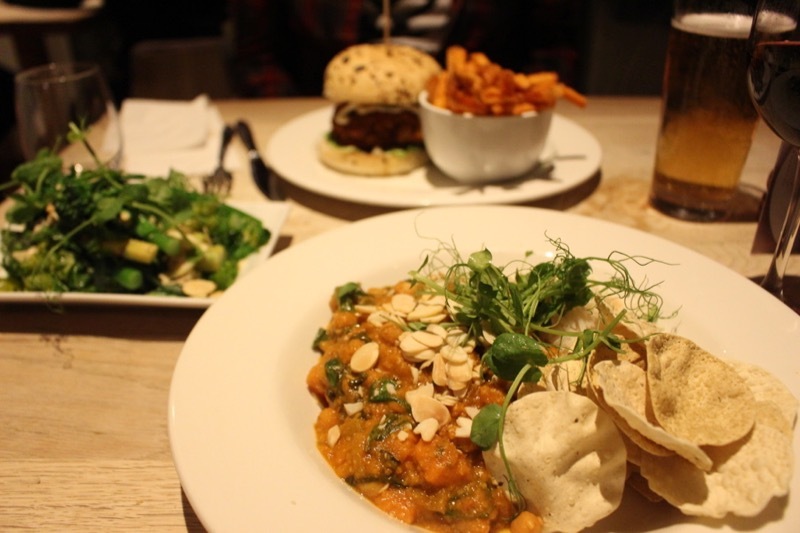 If you’re after a lowkey dinner, you can order from the bar menu and eat in here too. After soaking up the lively bar ambience, we headed through to the main restaurant where we were seated by a window table. 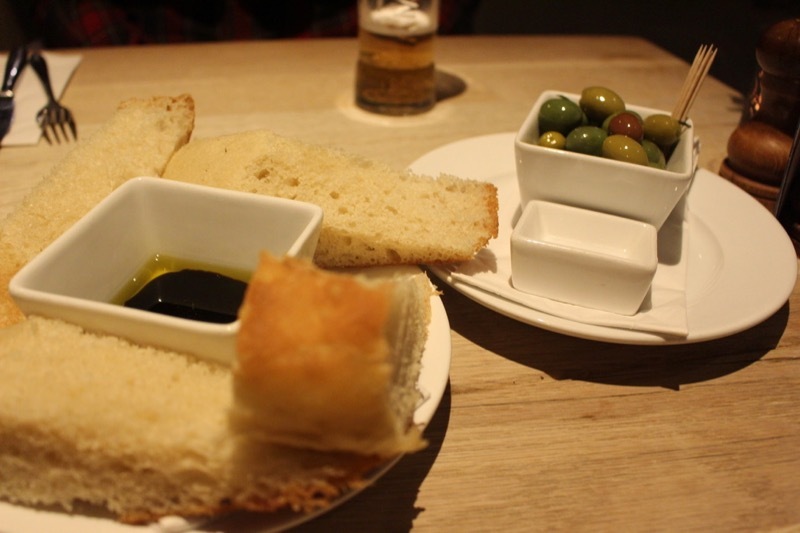 We opted to share some focaccia with olives to start and were not disappointed. The bread was fresh, studded with rosemary and sprinkled with sea salt. Along with the oversized, plump olives it was the perfect start. For my main course I ordered the vegetable curry, which came with the most adorable mini poppadums. It was just the right level of spice and perfect for warming up on a cold wintery day. My dining partner opted for the veggie burger, a substantial dish which came with the best sweet potato fries I’ve ever tasted. Despite being full, we both nodded enthusiastically. 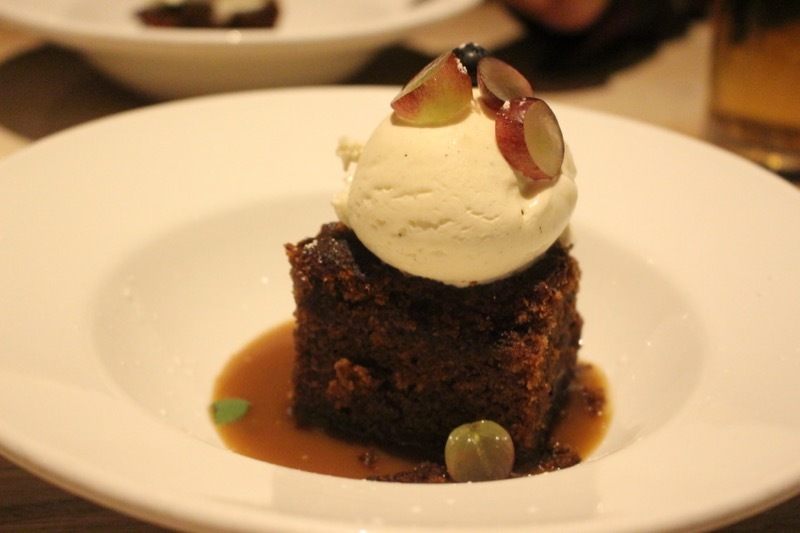 Neither of us could resist the lure of the sticky toffee pudding which was exactly as we had hoped for: substantial, sweet and moreish. We practically rolled ourselves down the hallway and into bed! The next morning, we returned to the same spot for breakfast. 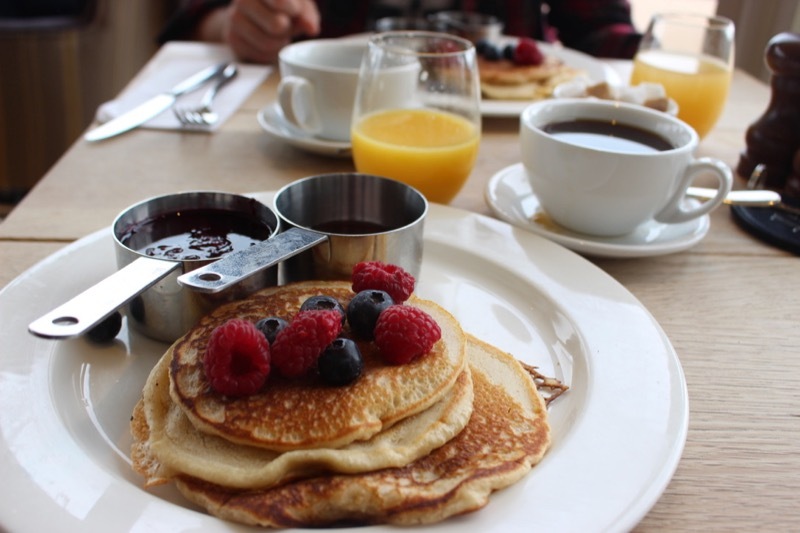 There was an excellent choice of items on the menu, but we both couldn’t resist the pancake stack which came with maple syrup and fruit. Washed down with excellent coffee and fresh orange juice, it was the best breakfast I’ve eaten in an age. 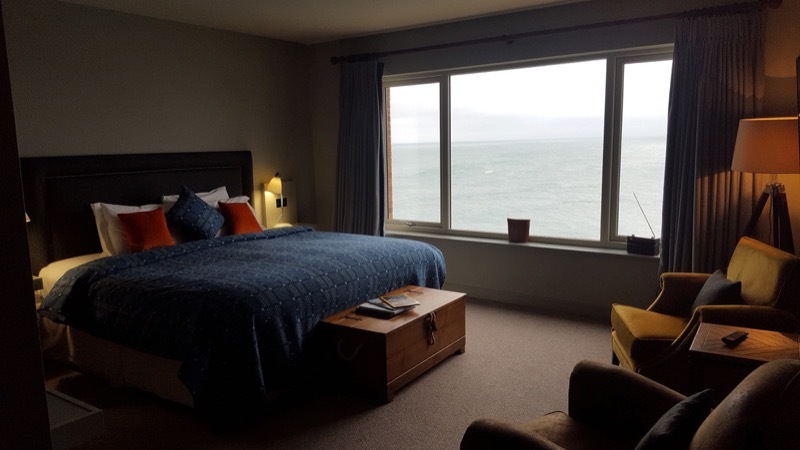 If the Cornish coast is calling you, and you crave luxurious solitude just a stone’s throw from town, Lewinnick Lodge is the place to go. 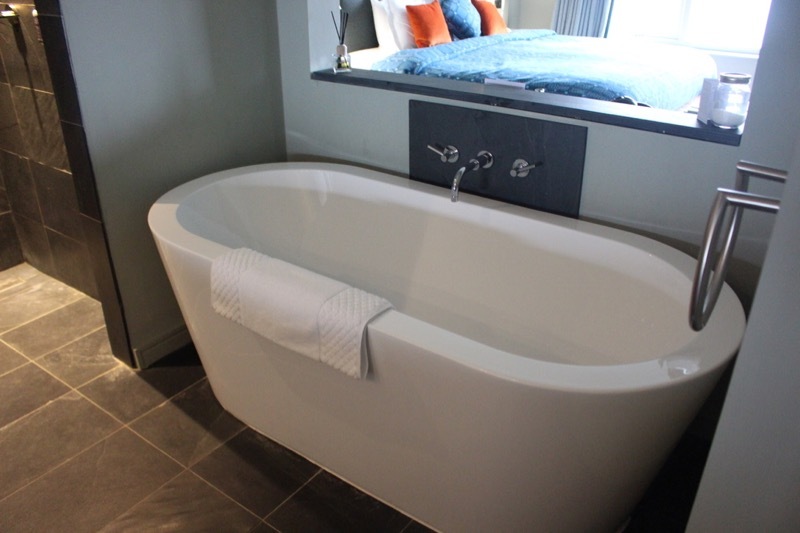 The location is excellent, the atmosphere is coastal chic and the views from the suites are the finest I’ve seen.